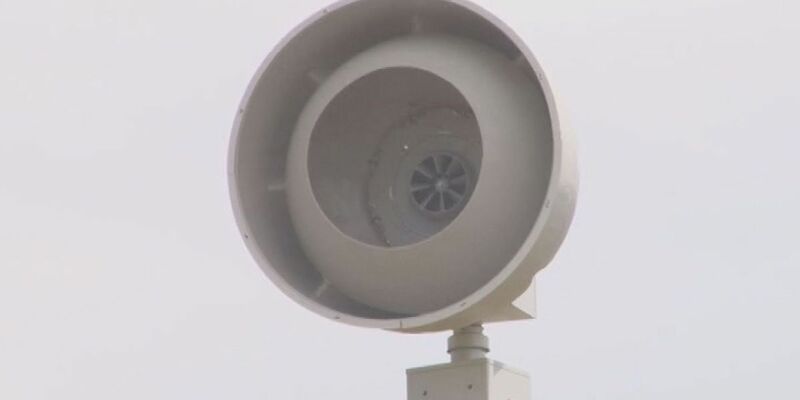 Are tornado sirens worth it for Lubbock? LUBBOCK, TX (KCBD) - This Friday marks the anniversary of the 1970 F5 tornado that took 26 lives. 48 years later, is Lubbock prepared for a natural disaster like this again? In November, the city introduced LBKAlert, which allows users to receive emergency, advisory, and event notifications. Justin Weaver, meteorologist-in-charge at the National Weather Service Lubbock, supports every type of warning possible but does warn that cellular networks sometimes fail during severe storms. "A lot of people tell me 'I'm going to get my warning on my cell phone, I'm fine' but we know that, again, the first thing to fail in disasters is the cellular phone network. Communications fail quite frequently; it's usually the first thing to go." The other major outlets for warning citizens of an incoming tornado is through radio and television. These methods, obviously, rely on the home having power, which isn't guaranteed during severe weather either. "What goes out during big tornado disasters? The power. Again, you have to have multiple ways to receive warnings because some of those ways are probably going to fail in a disaster." This has been a discussion in Lubbock for years. Mayor Dan Pope says that city council isn't necessarily opposed to the idea, but citizens need to reach out and make the issue a priority.